Earth Hour is tonight! 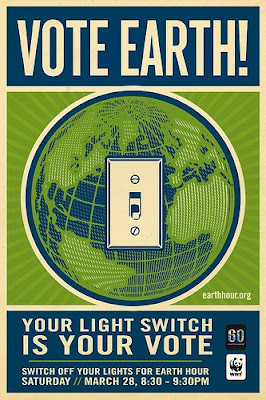 Don't forget to turn off your lights, TVs, computers, etc. for one hour tonight! 8:30-9:30 pm local time, wherever you live. "We have the whole internet to correct..."